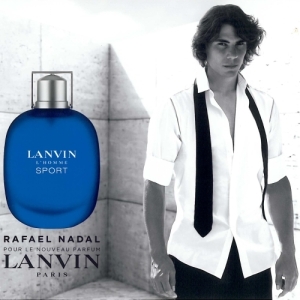 Lanvin L’homme sport is an interesting fragrance. When I see the word “sport” in a fragrance name I immediately relate it to the words: fresh, acquatic, boring. The first time I saw this bottle it was lying in a bargain bin for around 20 dollar for a 3.4 oz. Curious as I was I bought one and took it home. The initial spray was not that interesting. I immediately got a burst of citrus. It smelled clean, fresh and pretty dull, a typical “sport” fragrance. Don’t get me wrong it smelled nice, but nothing more. After wearing it for a good 2-3 hours I smelled my wrists again and there I was pleasantly surprised. The fresh dullness disappeared and a strange smell came to the front. First I wasn’t really sure what it was but I knew I had smelled it before. After looking up some notes I saw that the strange vibe of the fragrance was due to the oak moss. Although it being strange, it gives a nice twist to the whole fragrance and makes the dullness disappear immediately. Longevity and projection are pretty average. I get around 6-7 hours longevity. When the fragrance is nearing the end of its life it stays pretty close to the skin but still detectable for people to notice around you. All by all this fragrance is pretty decent and will make a nice casual day time scent. For people who are into fragrances and have smelled a lot this will be nothing ground breaking but nobody can disagree that this is some quality juice.